I’ve been working on perfecting my margarita for a while now. I’ve spent many long nights toiling over lime to tequila ratios and debating between simple syrup or agave nectar. 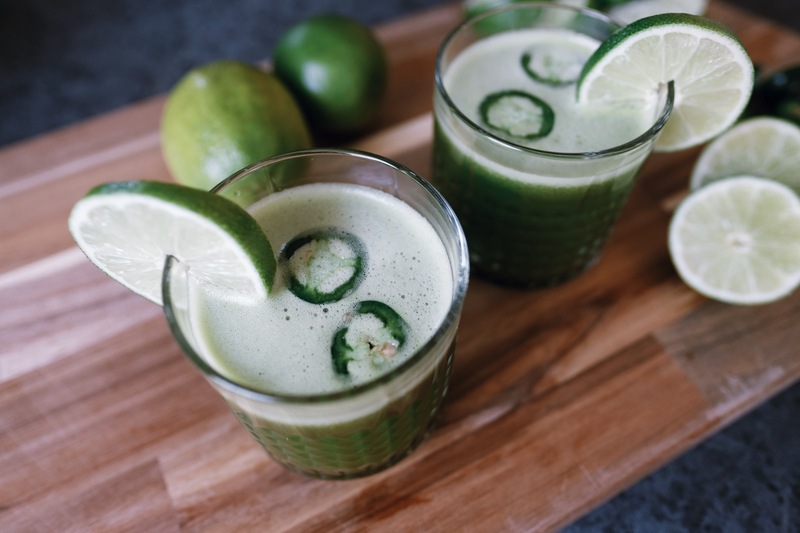 My recipe has evolved over time…the jalapeño floater after a drink I had at The Crunkleton in Chapel Hill, NC…the cilantro after the Spicy Margarita at Brewery Bhavana in Raleigh, NC…but none of them quite hit the mark. I found that the magic was in the Mezcal. Tequila is Mezcal, but Mezcal is not tequila. Tequila can only be made from one type of agave (Blue agave). Whereas Mezcal can be made with up to 28 different types of agave from various parts of Mexico. Basically, Tequila is like the champagne of Mezcal. Flavor profile of Mezcal is smokey. If you drink Scotch, think of it this way: Mezcal is to Tequila as Scotch is to Whiskey. 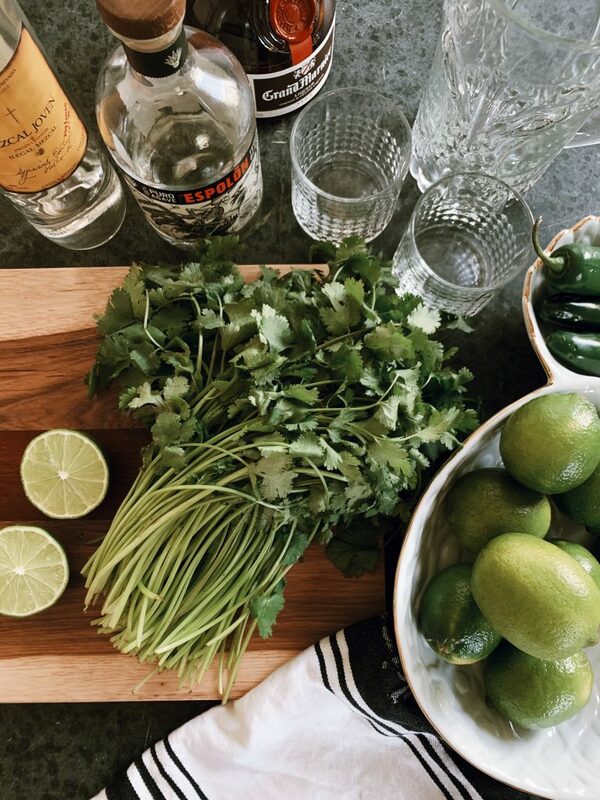 So, if you like a little smokey depth to your margaritas – trust me – pick up a bottle of Mezcal instead. You won’t be disappointed. Now hold on to your hats ladies and gents because this drink isn’t called Diablo Verde for nothing. 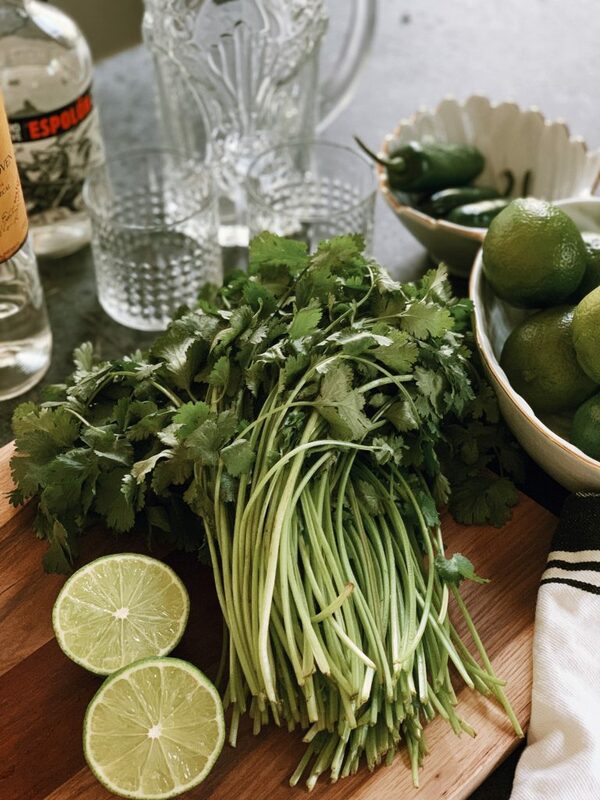 I’ve created an Amazon shopping list for all the tools I use when I make margaritas. Shop them here. Slice jalapeño and remove seeds from slices. Best way to do this is just to tap the slices on your cutting surface to shake the seeds out. Slice half a lime width wise for garnishing. Set lime and jalapeño aside. Set up electric juicer. Juice both bushels of cilantro into a container. Roll limes prior to cutting width wise (rolling the limes helps to release the juices prior to juicing). 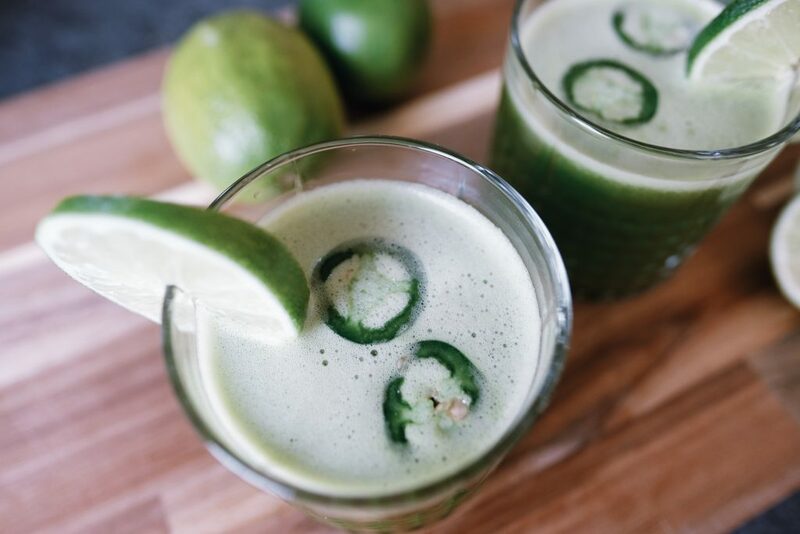 Cut all limes across the width and juice into the same container as the cilantro juice. Once all the limes are juiced fill the martini shaker with ice (about a third of the shaker). Add three shots of mezcal (or tequila) to martini shaker. Add 1.5 shots of Grand Marnier. Add four shots of lime juice/cilantro mixture to shaker. Add a 3-4 count pour of agave nectar into the shaker (approximately 2 tbsp). Shake (to the beat of Maracas) for 30-45 seconds (or until the outside of the shaker is frosted). 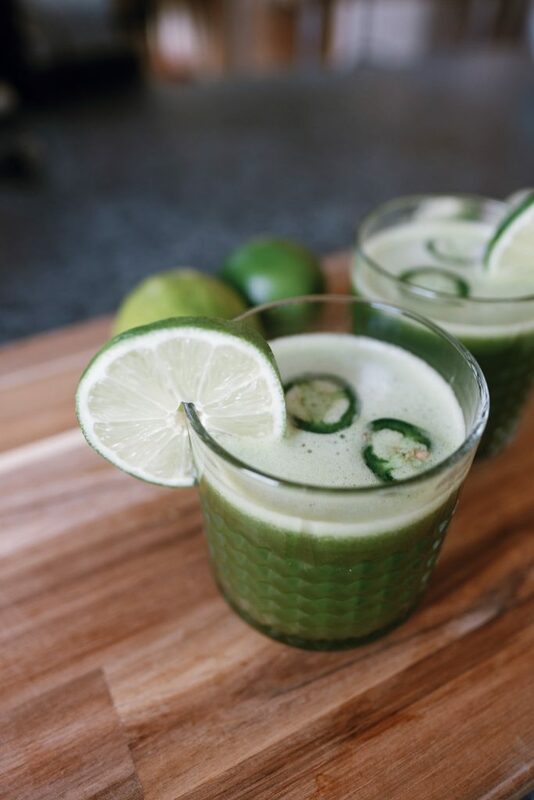 Pour into glass, top with 1-2 jalapeño slices, and garnish with a lime slice. Serve promptly. Be sure to send me an email or a DM on Instagram if you decide to make Diablo Verde. 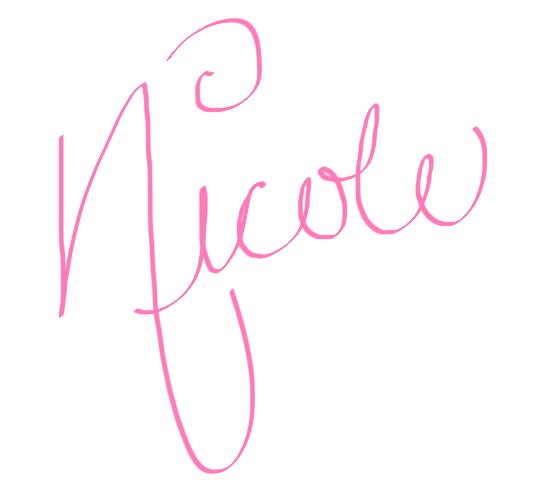 And if you like it – share it! Sounds good, can’t wait to try. Let me know when you do! I’d love to know what you think.